A gas explosion in a 7th floor apartment at the Union Plaza Apartments, 300-45th St., Union City, sent one woman to the hospital, reportedly with first and second degree burns to the upper body, Wednesday afternoon. 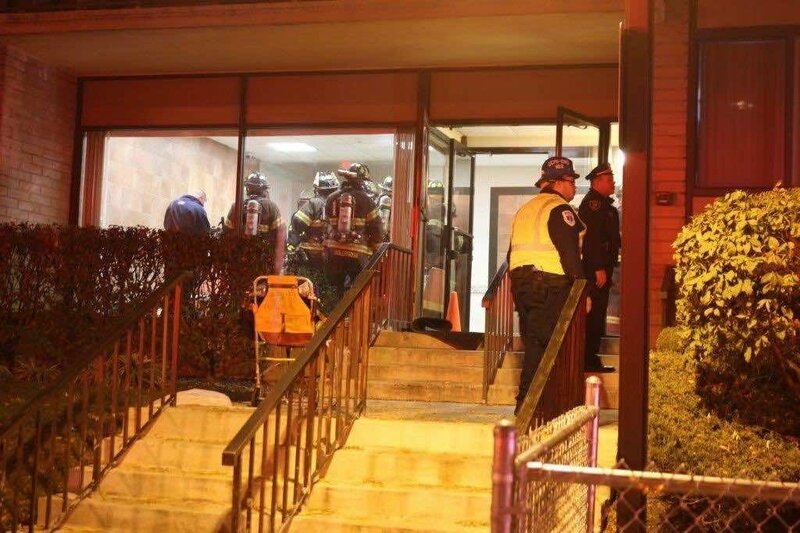 Shortly before 6 p.m., North Hudson regional fire companies were originally dispatched to a smoke alarm assignment, but that assignment was filled-out with additional units after reports of an explosion were received. The burn victim was already in the lobby as fire companies arrived. A city ambulance, just a few blocks away when the call came in, quickly arrived and transported the woman to the Jersey City Medical Center. 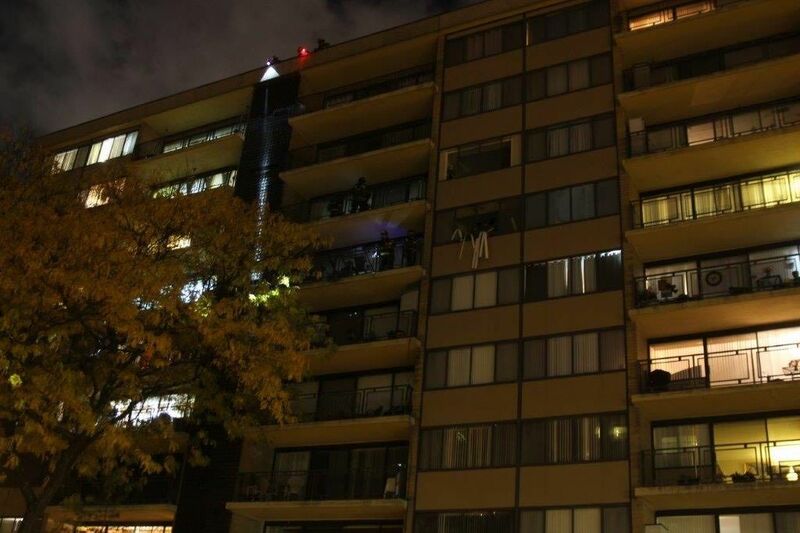 Numerous residents were evacuating the high rise building and 2nd Battalion Chief Al Salvesen transmitted a second-alarm. 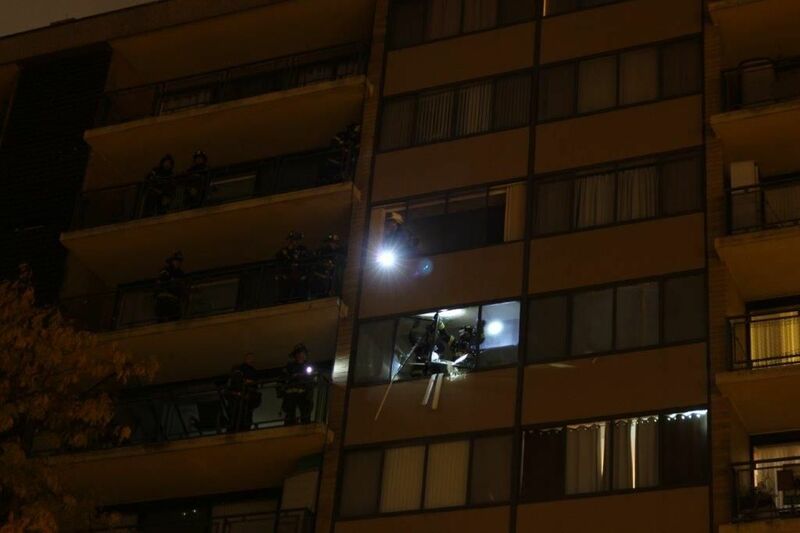 Flames were quickly extinguished, as firefighters searched apartments for any additional victims or fire extension. The fire was quickly declared under control by Deputy Chief Mike Cranwell.